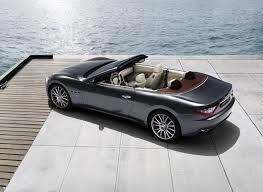 The new Maserati Grancabrio retains the elegance and luxury of the Maserati cabriolet, with added technological expertise. The front is adorned by the distinctive Maserati oval grill with black vertical fillets and the Trident in red mouldings. The front LED lights come in feisty matte black, while the rear come in a burnished finish. The Maserati 4.7L V8 engine is controlled by a six-speed auto-adaptive gearbox with a special setting for the suspension. 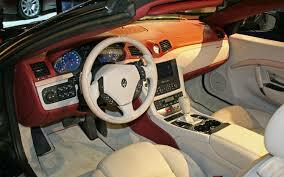 Performance is delivered at 460 horsepower and a top speed of 289km/h. The Grancabrio also has the Brembo braking system with discs crafted out of aluminium and cast iron, bringing its total weight down by 15%.